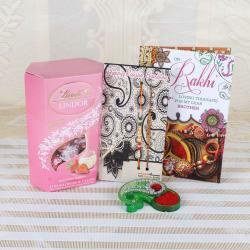 On the eve of Raksha Bandhan bless your dear ones with this special pack which has a Lindt Lindor coconut chocolate pack, 2 designer beaded Rakhis and a designer roli chawal container. 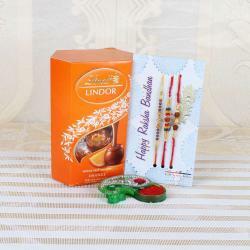 The coconut flavor chocolate taste delicious and will add a star to the celebration. 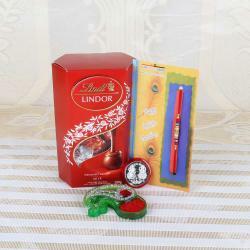 This combo has everything to celebrate the eve with your loved one. Make some beautiful memories with them and let the brother and sister bond be stronger for the rest of the life. 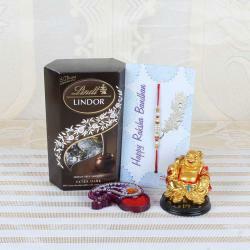 Gift this pack to your loved one as a token of your love and bundles of blessings. 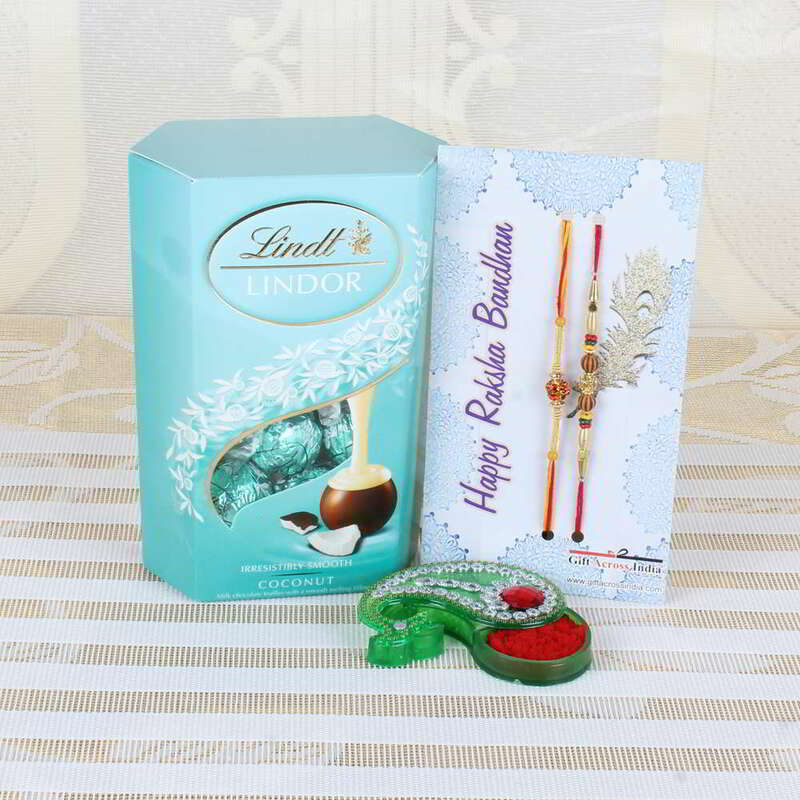 Product Consist: Lindt Lindor Coconut Chocolate (Weight: 200 gms), 2 Designer Beads Rakhi along with Designer Roli Chawal Container.